The House of Lords looks set Wednesday to defy Prime Minister Theresa May by demanding guarantees for EU nationals living in Britain, delaying a bill she needs to start Brexit negotiations. The opposition Labour party is hopeful it can push through an amendment to legislation empowering May to trigger Article 50 of the EU's Lisbon Treaty, which begins two years of divorce talks. May hoped the bill would pass through parliament by next week and has promised EU leaders to formally start the withdrawal process by the end of the month. But if peers in the upper house of parliament vote to amend the bill later Wednesday, it must return to MPs in the House of Commons for further deliberation. 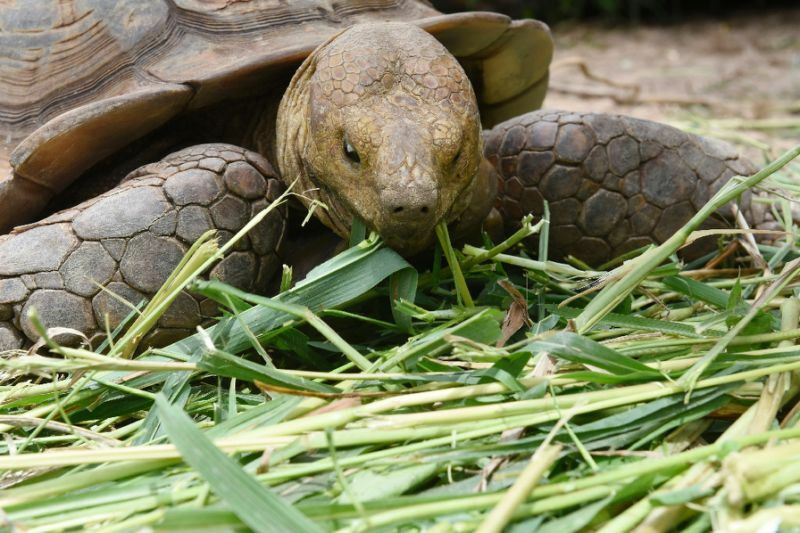 A British zoo is facing closure and its owner prosecution after nearly 500 of its animals died of poor nutrition, cramped conditions and hypothermia over four years, it emerged Wednesday. A damning report into the South Lakes Safari Zoo in Cumbria, northwest England, found that 486 animals had died in the past four years, putting most of the blame on its owner David Gill. The zoo had over 1,600 animals in 2016. Describing the conditions as "appalling", inspectors reported finding poor levels of veterinary care, cleanliness and pest control, as well as inadequate food. "The conditions that these animals are being held in, is quite frankly appalling, and has led directly to the death of a number of them," they wrote in the report. 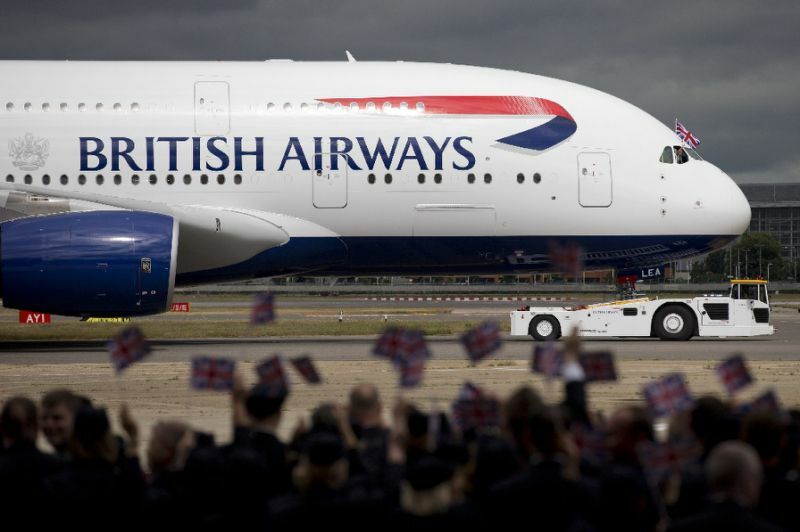 IAG, parent group of British Airways and Spanish carrier Iberia, grew profits in 2016 as lower fuel costs helped to offset the impact of a weaker pound, results showed Friday. Net profit rose almost a third to 1.93 billion euros ($2.0 billion) compared with 2015, IAG said in an earnings statement. Lower oil prices resulted in the company's jet fuel costs falling by 20 percent last year. However IAG's "performance was affected by an adverse currency impact of 460 million euros", chief executive Willie Walsh said in an earnings statement. Thousands of Europeans enraged by US President Donald Trump's immigration ban demonstrated Saturday in cities across the continent, calling on Americans to "dump Trump" and vowing to fight his policies. 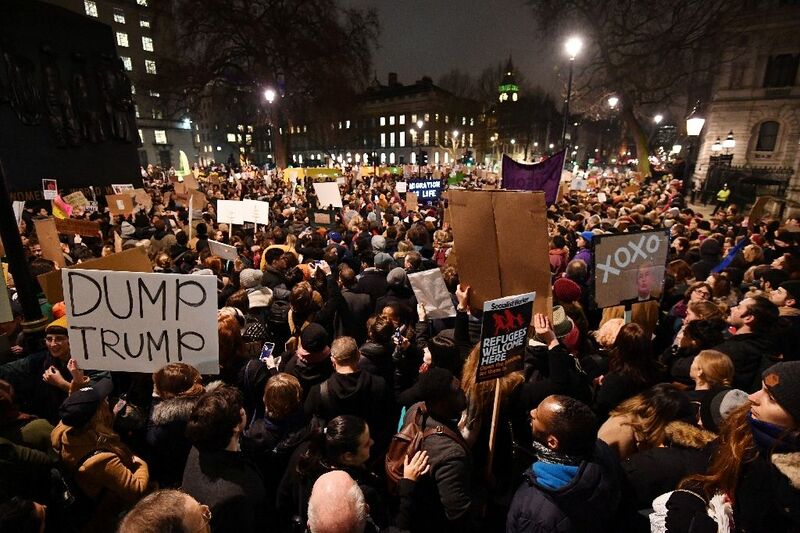 In London, an estimated 10,000 people turned out, chanting "Theresa May: Shame on You" to denounce the British prime minister's support for the new US leader. 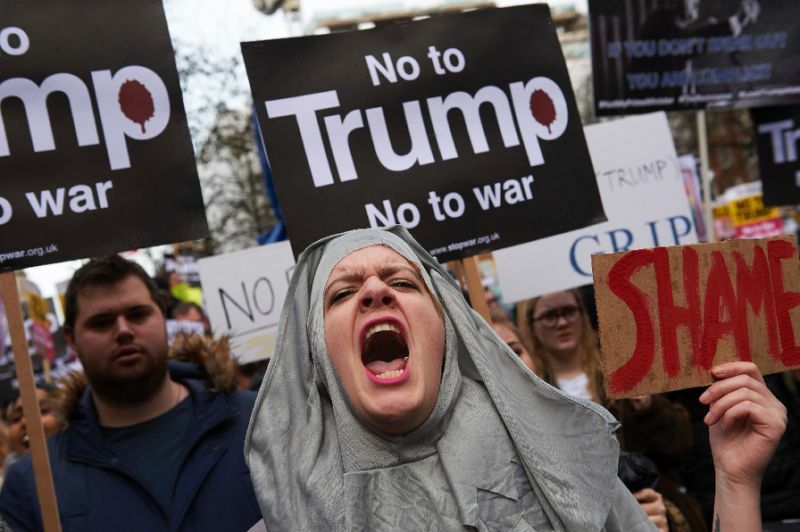 Brandishing placards declaring "No to scapegoating Muslims" and "Socialism not Trumpism", the protesters moved from the US embassy toward May's Downing Street office. In Paris and Berlin each, around a thousand people came out to protest, while smaller gatherings of several hundred people took place in provincial British cities including Manchester and Birmingham. Rallies were also held in Sweden's capital Stockholm and the Spanish city Barcelona, where some 300 people marched outside the Spanish consulate, according to media reports. British Prime Minister Theresa May on Monday refused to back down on inviting US President Donald Trump for a glitzy state visit, despite a petition gaining more than 1.5 million signatures and protesters rallying across the country. 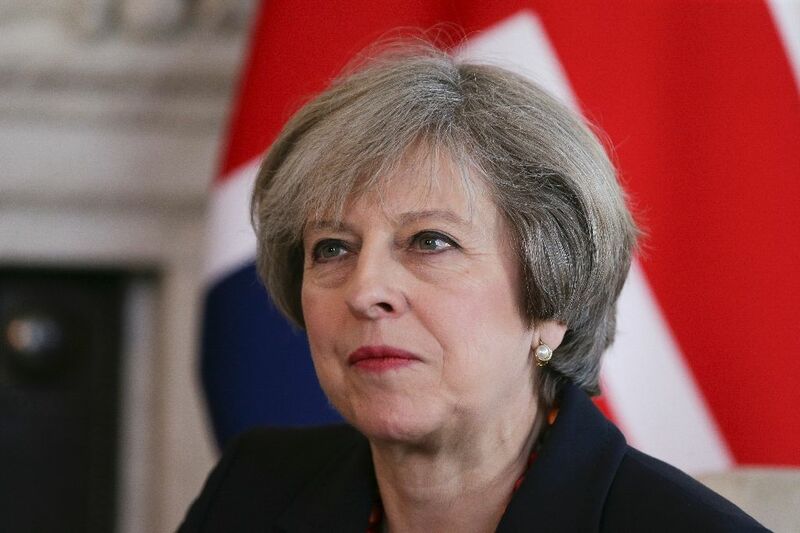 May is standing firm on the invitation, which would see Trump honoured by parliament and Queen Elizabeth II, despite the premier's office saying she does not agree with his controversial ban on refugees and citizens of seven mainly Muslim countries. "The United States is a close ally of the UK, we work together across many areas of mutual interest and we have that special relationship between us," May told a press conference in Dublin alongside her Irish counterpart Enda Kenny. "I have issued that invitation for a state visit to President Trump to the UK and that invitation stands." The British premier added: "In relation to the policies that have been announced by the US, the UK takes a different approach." May announced the state visit during a meeting with Trump at the White House on Friday, which was intended to boost trade ties after Britain leaves the European Union. But the High Court in London said it did not have jurisdiction in the case, and that it was a matter of Nigerian law. King Emere Godwin Bebe Okpabi, ruler of the Ogale Community, told AFP the decision would be appealed, saying: "The battle is not over. Not over at all. Never, never! "We are highly disappointed with the ruling, but we are not broken," he added. "We are very strong, we believe in the British judicial system, we believe this judge was wrong, and we believe by the grace of God we'll get justice in the Court of Appeal". Legal firm Leigh Day, representing the claimants, called it a "very surprising decision". 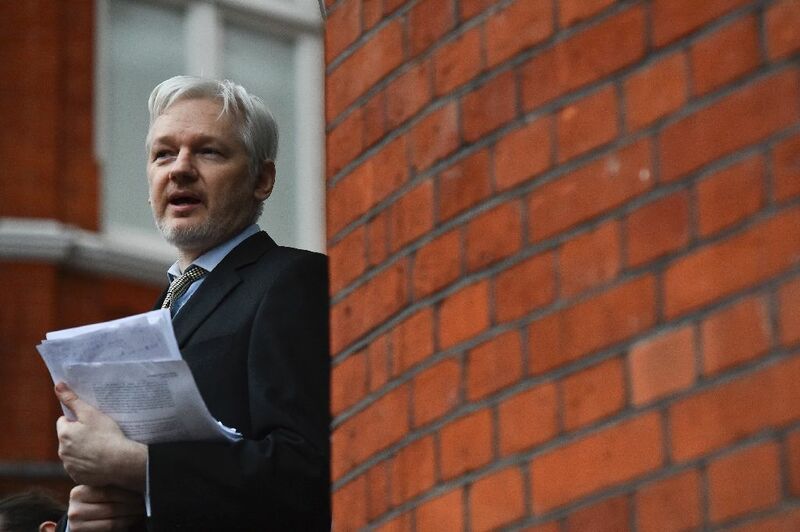 "We are confident that the court will overturn this judgment," the legal firm's Daniel Leader told AFP. "There is no hope of getting justice in the Nigerian system, the system is inefficient." 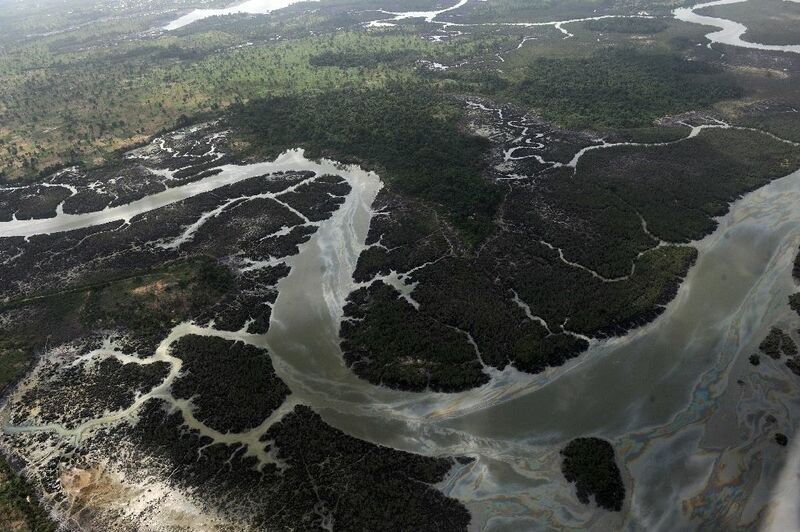 Leigh Day argued during November's hearing that Shell was "ultimately responsible for failing to ensure that its Nigerian subsidiary operates without causing environmental devastation". Shell lawyer Peter Goldsmith countered that the case was aimed at establishing the High Court's jurisdiction over Shell's Nigerian subsidiary SPDC, opening the door for further claims. SPDC's Igo Weli welcomed the "common sense" decision. "Issues about Nigerian claimants against a Nigerian company should be handled in Nigeria based on the principles of Nigerian law," he told AFP. "There's a myth that you can't get justice in Nigeria and I know it's not true". Okpabi disputed this argument, telling AFP in an interview in November that: "Shell is Nigeria and Nigeria is Shell". "You can never, never defeat Shell in a Nigerian court. The truth is that the Nigerian legal system is corrupt," he said. England’s women’s record goalscorer Kelly Smith announced her retirement from the sport on Wednesday. The 38-year-old striker — who scored 46 goals in 117 appearances for England — won five FA Cups with Arsenal, scoring six goals in the showpiece event. She also played in Arsenal’s historic 2007 UEFA Cup — now the womens’ Champions League — success and they remain the only British side to have won the trophy. Smith, who became Britain’s first female professional footballer when she joined American side New Jersey in 1999, said her body had told her the time was right to hang up her boots. “It just feels the time is right now,” she told the BBC. 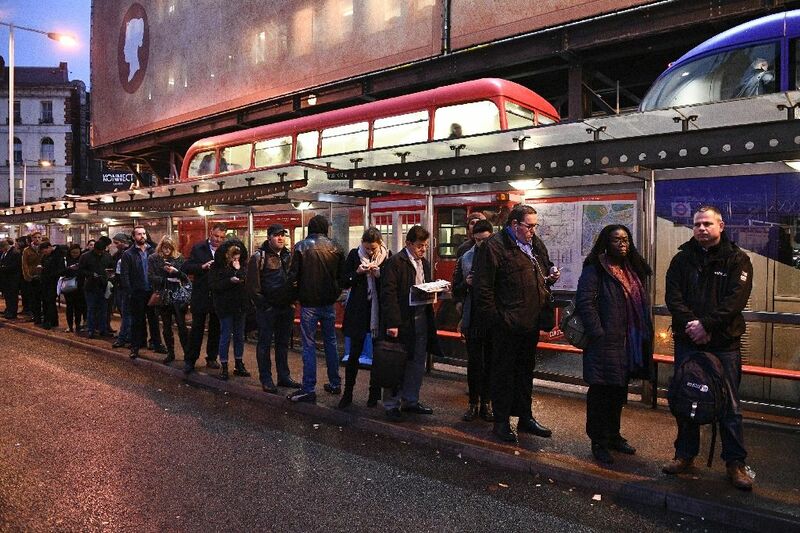 Squeezed into packed train carriages, or waiting for hours for buses in the cold, dark and damp January morning, many commuters expressed their frustration at the disruption. 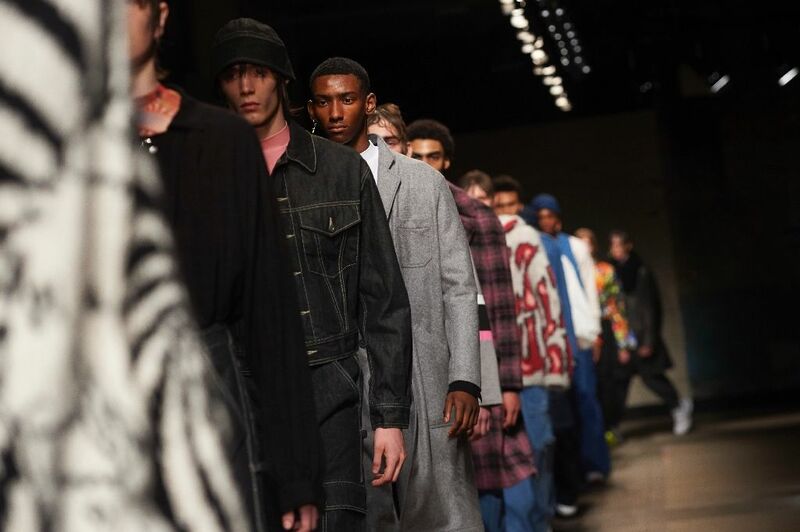 British clothing brand Topman Design revived the country's 1990s rave culture for its London Fashion Week show on Friday, dazzling the catwalk with fluorescent colours, psychedelic prints and underground attitude. Celebrating the anarchic house music scene that spontaneously swept the country and shocked the authorities, the High Street giant transformed the stately Selfridges department store in the heart of London into a warehouse party. The establishment bastion shook to the booming soundtrack of US artist Trevor Jackson, as models -- sporting greasy hair, oily skin and various piercings -- paraded between concrete columns and imposing metal sculptures. The winter 2017 collection was "heavily influenced by the pubbing and clubbing scene," according to the label, featuring pub paraphernalia, hand-drawn prints and 90s "rave graphics and neons". "This gives the look of working in the outdoors all day and clubbing all night," said Topman.